We’re all familiar with the ancient Maya legend that sets the end of the world on December 12th 2012. Whether you believe it, and are enjoying the last moments of the world as we know it, or you just think it’s superstition, you won’t be able to take your eyes off of these amazing limited edition fountain pens and rollerball pens created to honour the ancient civilization. Maya people were one of the greatest civilizations of America, before the arrival of the conquerors. Their advances in mathematics, astronomy and architecture have been praised by historians and anthropologists. 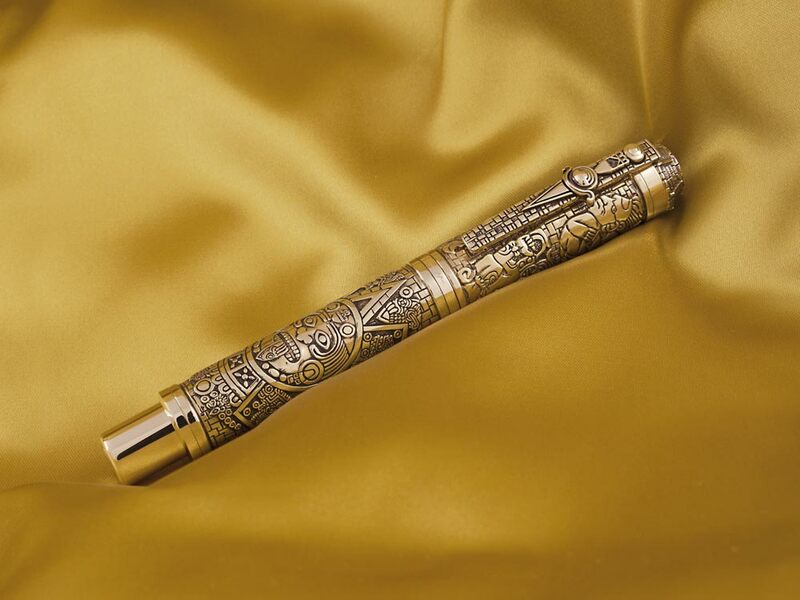 Montegrappa has chosen this year, 2012, to create a homage pen to the Maya culture and other pre-Columbus civilizations. 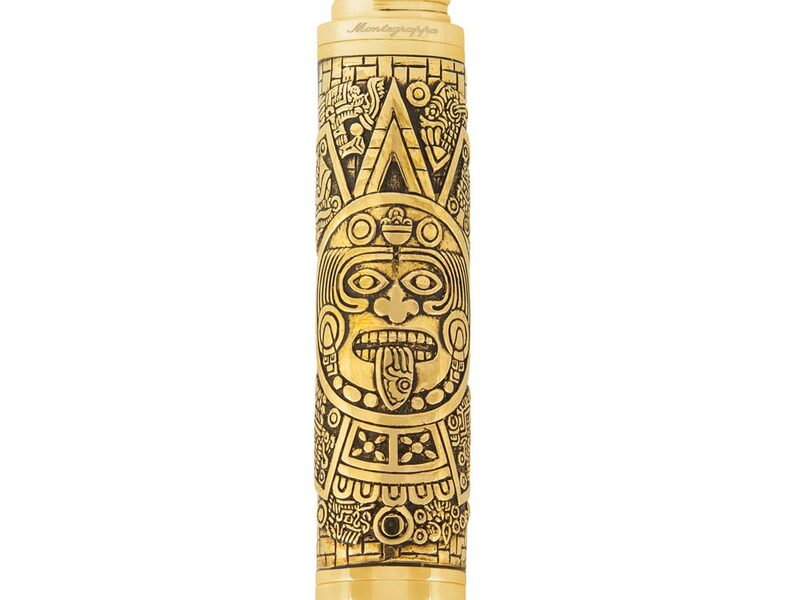 The pen is engraved with the famous Maya Calendar which can be seen in the National Anthropology Museum of Mexico City, as well as other motifs from the Maya culture. This large ritual stone, is one of the most impressive artefacts the ancient civilization has left us. The pens are available in different finishes: bronze, silver and gold; for if one thing amazed the first European colonists, was the rich precious metals the native peoples wore. 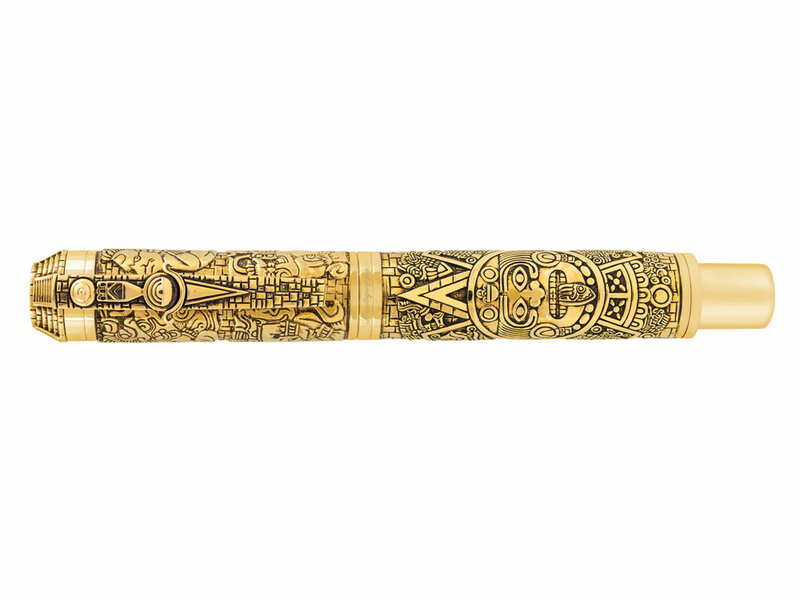 The Montegrappa Mayan Celendar pens are now available. If you also get captured by its beauty, you can get one for a great price at Iguana Sell. Don’t miss this wonderful opportunity… It may be your last!